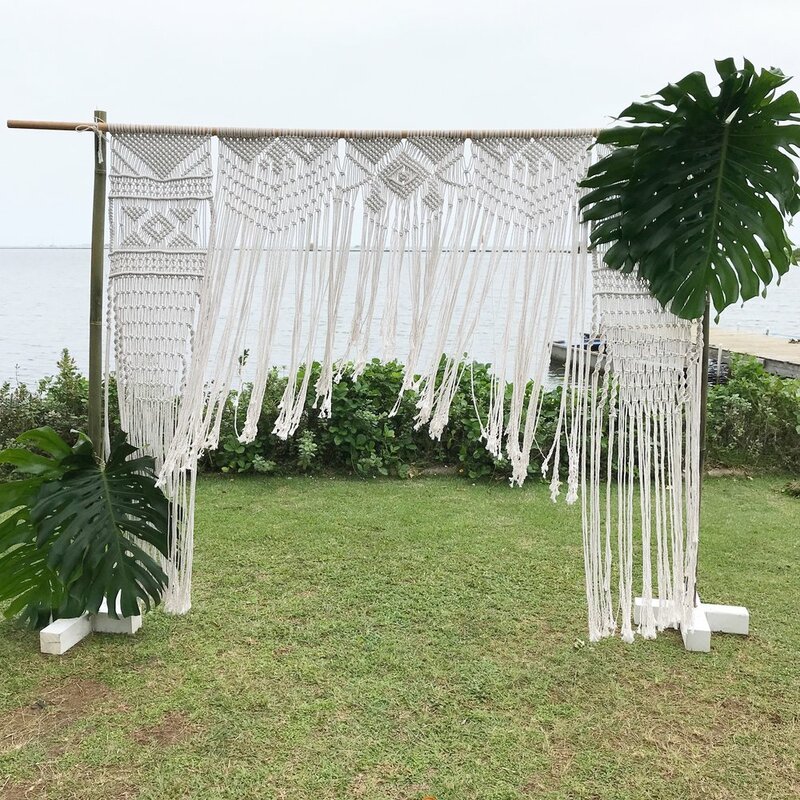 Every detail of our Macrame Backdrop has been hand knotted and made to make your special event even more beautiful. It measures 10ft wide from end-to-end of the dowel (8ft of rope) and 6ft 2in tall (with stands). Available to rent for any occasion! Please inquire regarding rental rates and availability. NEW DESIGNS AVAILABLE SUMMER 2018!